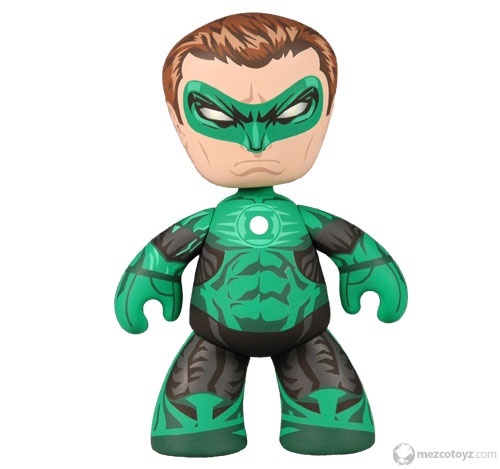 Mezco Reveals Green Lantern As 1st DC Mez-Itz! 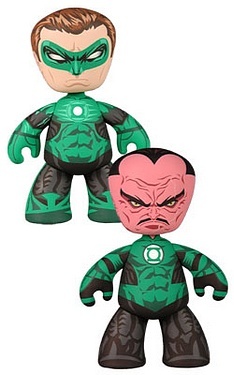 New York- Based on the upcoming big budget GREEN LANTERN action film (in theatres June 2011) Mezco launches their new line of DC Universe Mez-Itz with GREEN LANTERN and SINESTRO. Mez-Itz, 6" rotocast vinyl collectibles that are cool by design. 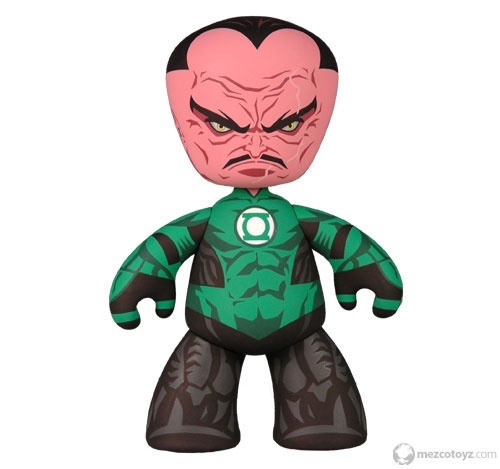 Both GREEN LANTERN and SINESTRO feature five points of articulation and are individually packaged in collector friendly double sided window boxes that allows you to see both the front and back of each Mez-It! 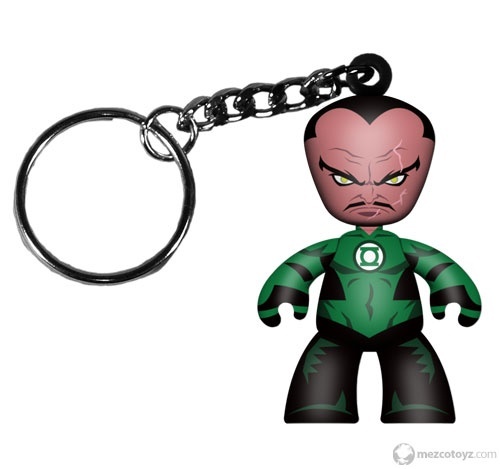 Mezco will also be releasing Mini Mez-Itz, 2" vinyl collectibles that are cool by design. Both GREEN LANTERN and SINESTRO feature five points of articulation and are packaged together on a blister card! Mezco Toyz now has full access to the massive DC Universe of characters as well as specific movies, including world-famous superheroes such as SUPERMAN, BATMAN, WONDER WOMAN, and many other heroes, as well as the vast array of villains associated with these iconic heroes. 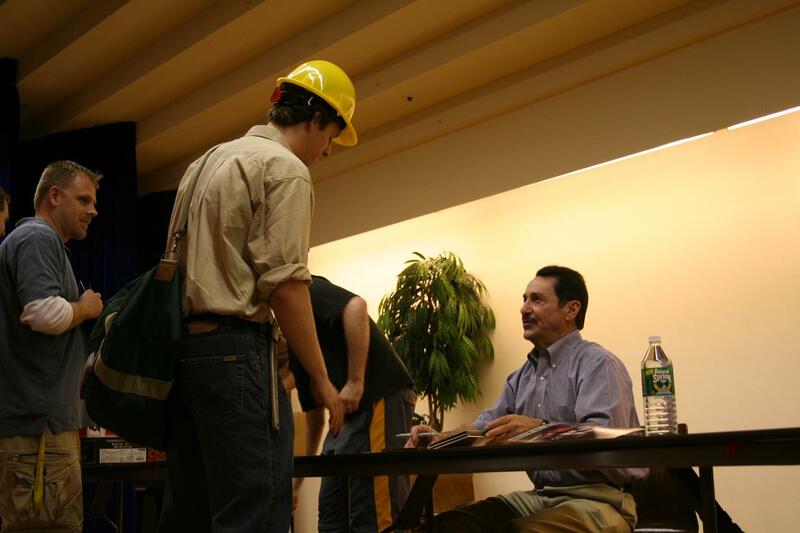 In a universe as vast as it is mysterious, a small but powerful force has existed for centuries. 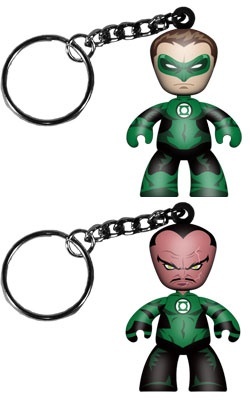 Protectors of peace and justice, they are called the Green Lantern Corps. But when a new enemy threatens to destroy the balance of power in the Universe, their fate and the fate of Earth lie in the hands of their newest recruit, the first human ever selected: Hal Jordan. Hal is a gifted and cocky test pilot, but the Green Lanterns have little respect for humans. But Hal has one thing no member of the Corps has ever had: humanity. With the encouragement of fellow pilot and childhood sweetheart Carol Ferris, if Hal can quickly master his new powers and find the courage to overcome his fears, he may become the greatest GREEN LANTERN of all. GREEN LANTERN and all related characters and elements are trademarks of and (c) DC Comics.